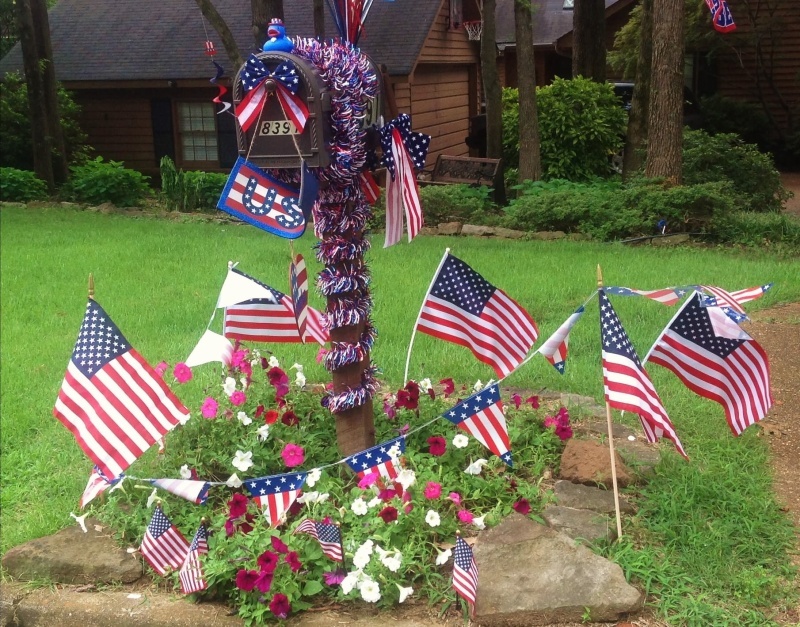 Our neighborhood celebrates Independence Day in a big way. Mailbox decorating contest. Awards and bragging rights for the most stylish mailboxes displayed during the two weeks prior to July 4th. We look forward to seeing everyone's creativity and pride on display. Fishing Rodeo - Fishing will start at on Saturday, June 30 at 8:30 and end at 11:30 with weigh-in ceremonies beginning at that time. Picnics in the Park - Family fun time and meet your neighbors, enjoy the picnic tables, grills, docks, playgrounds and parks. Please note that the dam will be closed about 3:00 for the pyrotechnic guys to set up the fireworks. No one will be allowed on the dam after that. Boats and Anything that Floats Parade - Boats should meet at the fishing pier at the dam by 6:00 p.m., Saturday, June 30. The parade starts there and cruises past the boat landing at Farrell Park, up the east side of the lake showing off their “stuff.” Cross over to the west side of the lake down around the Walnut Grove Road end and come back down the west side and past the judging stand. Then follow the shoreline around to Little Park and Simpson Park for the spectators at the parks, and back to the dam to complete the voyage. Margie McMillan will be the “Grand Marshall” - please follow her past the boat landing and into the Little Park and Simpson Park coves. These are the only locations where spectators who don’t live on the lake can watch the parade, since the dam will be closed by then because of the fireworks. Prize categories will be announced later. Prizes/Ribbons (and bragging rights) will be delivered after the parade. All boats must have WGL + Lot Number on both sides. (That’s how the judges identify the entries.) Last year’s entries were fantastically patriotic, musical and a whole bunch of silly fun. Let’s all enjoy them again this year. Spectators can enjoy wonderful views from Little Park and Simpson Park. 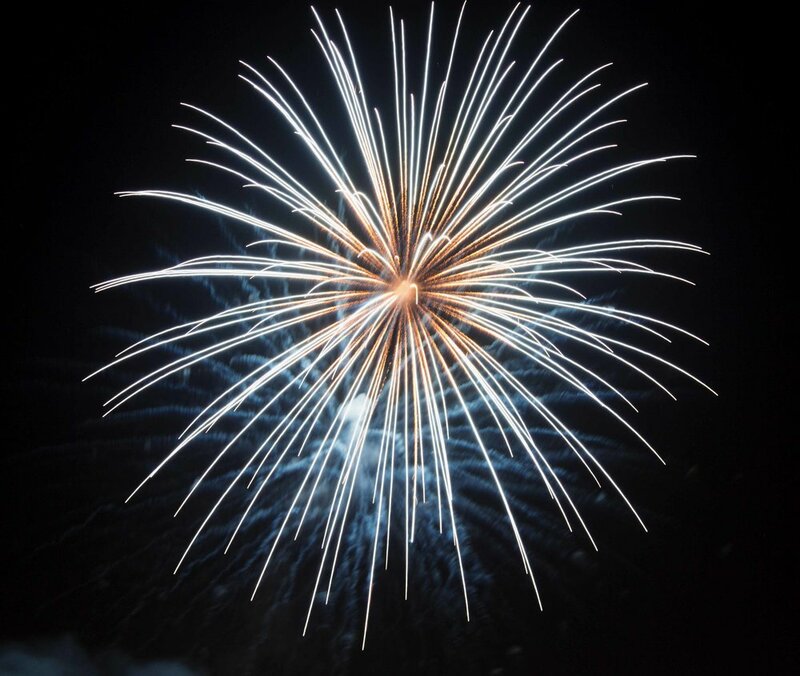 Fireworks - Get your spot staked out and view our fantastic fireworks display. Fireworks begin at approximately 9:15-9:30. Three warning shots will be fired 5 minutes before the display begins so you can get to your viewing position. If viewing by boat, please stay at the north end of the lake as fall-out from the fireworks can cause damage to boats and people. We are very fortunate to have Geoff Nixon with High Tech Special Effects. They take care of meeting the challenges we face: pulling permits, meeting with Fire Marshalls and insurance coverage. Plus, they have managed to keep our costs the same for many years, which was so helpful. They will again be providing our fireworks display this year. As the fireworks are funded by contributions, a $60.00 donation is requested from each family. However, donations in any amount are greatly appreciated. If you have a party for your friends to watch the fireworks, you may want to contribute more this year! Checks should be made payable to Walnut Grove Lake Fireworks and mailed to PO Box 1450, Cordova, TN 38088 or dropped off at 8497 Bergen Cove. Each year we hold an Easter Egg hunt in Lovitt Field followed by a picnic in Simpson Park. It's a great way to come out and celebrate spring! Each December we have a Christmas yard decorating contest and prizes are awarded in various categories.